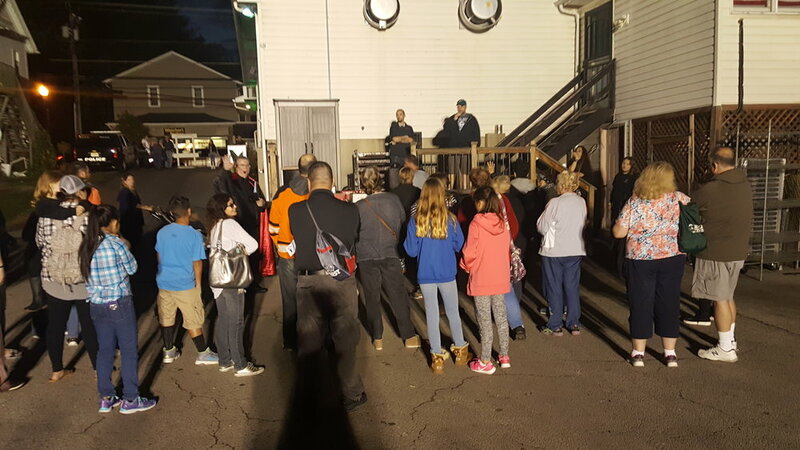 Join the Harrison Township Historical Society on Saturday October 13th for our ever-popular Ghost Walk. 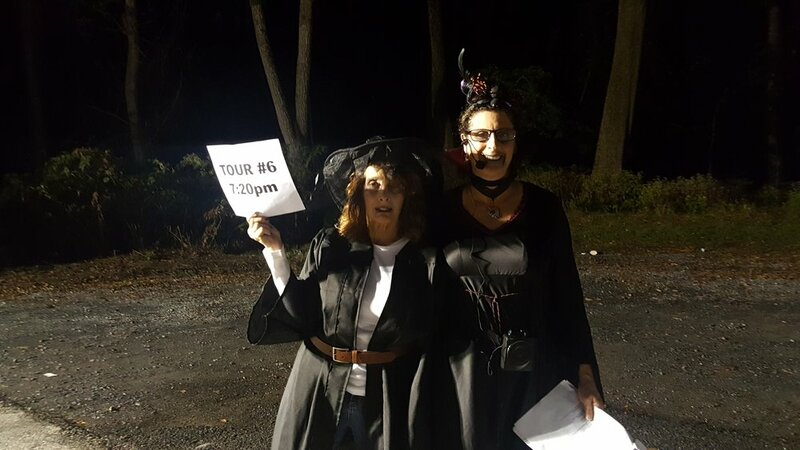 Explore Mullica Hill's haunted history as you walk past the historic houses and public buildings along Main Street during the 1 and 1/2-hour guided tour. The Jersey Unique Minds Paranormal Society (JUMPS) will be at the event and doing a live broadcast of his paranormal radio show "Paradelphia." Tours will depart from outside blueplate restaurant, 47 South Main Street, every 10 minutes beginning at 6:30pm. Tickets are $8 per person. If you require an early tour time, be sure to get your tickets as far in advance as possible as they sell out first. Families are welcome. Children in strollers do not require a ticket. 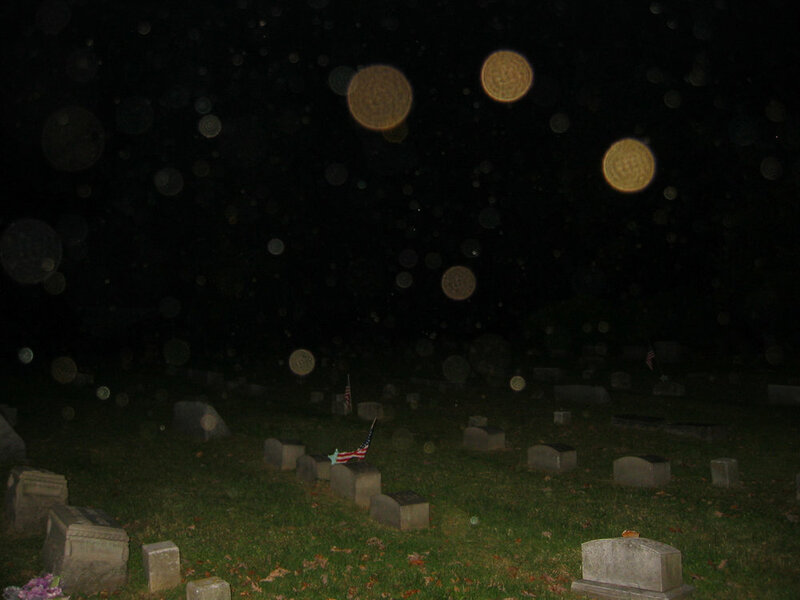 Remember to bring your flashlights, cameras, and comfortable walking shoes! 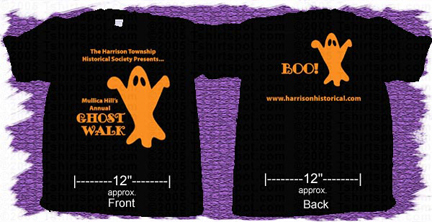 Our popular Ghost Walk T-shirts will be on sale for $12 at the event. 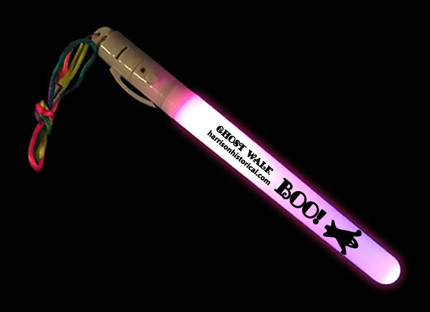 We will also be selling LED glow sticks with the Ghost Walk logo for $5 each. All proceeds benefit the Harrison Township Historical Society. Naples Pizza will be hosting a special Ghost Walk buffet beginning at 5pm and continuing throughout the event. Tickets are on sale now! Please check back for the latest information. Additional tour times may be added. ONLINE TICKETS THROUGH TICKETLEAP- CLICK HERE NOW! We do our best to accomodate as many people as possible, however, we are limited to the number of volunteer guides we have available. We will be wait listing people in blue plate's parking lot during the event if you are trying to get a last minute ticket and they are sold out- however we cannot make any guarantees we can accomodate you without an advanced ticket. We have had over 800 people attended the Ghost Walk, so be sure to get your tickets as early as possible! Many businesses along Main Street have off street parking lots behind their shops. The largest parking lots are at Mullica Center and behind OKKA Karate. The parking lot directly behind blue plate's restaurant will be closed to cars, as this will be the staging area for the groups. The restaurant is also closed due to a recent fire. Blueplate's overflow parking lot will be open. Try to arrive early to secure a parking spot. Route 45 (Main Street) has a lot of traffic, so please use the designated crossing areas at the following locations, where vounteers will be on hand to assist you: Route 45 at Route 77, Route 45 at the new traffic light at the Old Mill, and Route 45 at Woodland Avenue. Please remember to bring a flashlight, and walk only in the designated areas! Some businesses will be staying open later specifically for the Ghost Walk!